Hi, My name is Shai Abrahams and I am from Johannesburg South Africa. I had never really thought about a gap-year program after school, although I knew that I wasn’t just ready for university yet so when Simon came to speak at my school, my interest peaked immediately. At first my family and I were worried as to how we were going to deal with it financially, although Simon could tell how badly I wanted to join the program so he helped me as much he could and made it possible for me to be here today. The more I found out about the program the better I felt about my decision. Aardvark has exposed me to so many opportunities such as interning and traveling thereby gaining independence, responsibility and working experience. Before, when I had come to visit my family they would always have to show me where to go, now I’m the one directing them around Tel Aviv because I know the city so well. This program is definitely like no other. 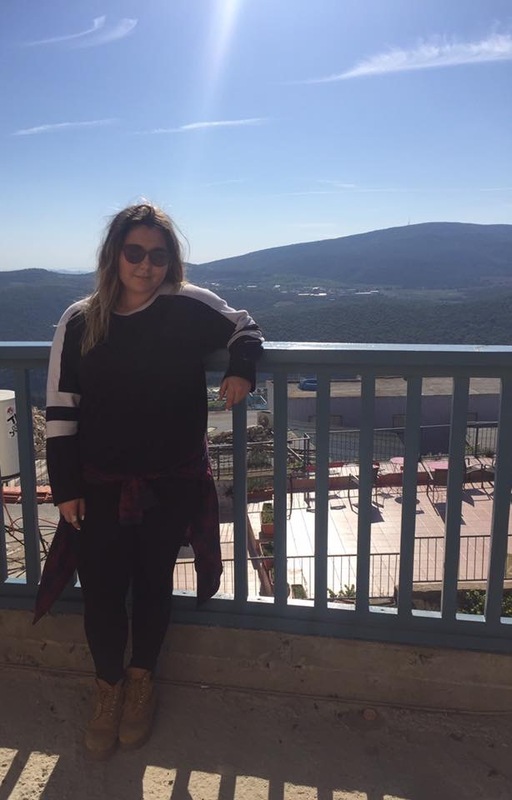 Students from all around the world have come to this program and Aardvark has allowed us, as a group of multi cultured 18/19 years olds to integrate completely into Israeli Society. We are living on our own in one of the newest upcoming areas in Israel – and we have to associate ourselves with local Israelis every day. My experience in Israel so far has been incredible. From having to control a monthly budget to buying groceries and doing laundry. I’ve become accustomed to traveling by bus and by train to see my family, and coming from a place where public transport isn’t as accessible as it is here in Israel, it has been exhilarating being able to go around the country by myself and I have to say I’m pretty proud of myself. I have visited so many places in Israel that one could say I’ve seen more than the average Israeli, and so have most of the people on this program. You have to get used to sharing a space with other people and it can definitely get frustrating but eventually you just learn to love them and their messes. I have grown close to and created a special bond with a lot of people on this program and now I have so many countries in the world that I just have to visit. I feel that as a person I’ve matured and grown in a way that I don’t think I would have at home and I’ve made friendships that could last me a life time. I’m definitely going to miss the people the most. In a way, I am using this program as a sort of a break from reality but at the same time it is helping me decide what direction I’m going in for my future. And I am loving it – every aspect of these past couple months has been amazing, and the independence it has afforded me has been exhilarating. Not having to depend on my parents for every tiny detail is great, but they are still financially supporting me so I still have to phone home everyday (Haha). To future Aardvarkians, my advice to you would be: to actually leave your apartment and explore. As comforting as it is to stay in bed all day, you’re going to want to remember this experience as a time of fulfillment and lots of adventures. So just push yourself because I promise it’s worth it; talk to everyone! People can be really nice if you give them a chance and lastly, you’re probably going to spend most of your money on food so make sure you budget properly. I wish I had. I hope you choose to come on Aardvark, it’s an incredible experience and I hope you have the most amazing time like I’ve had.